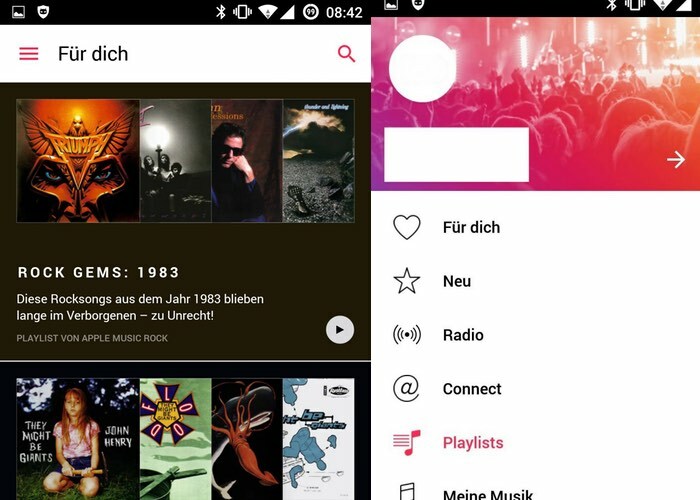 Apple Music, rolled out a major release to Android users today, introducing a new design that largely brings the app to parity with its iOS counterpart. 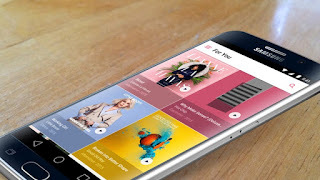 Android users up to date with the latest Apple Music features, the version 2.0 update is the first major overhaul to be bestowed on the app. The sizeable update brings the Android app in line with Apple’s own platform and adds a number of additions iOS users have been enjoying since last September. Better late than never, as well as a cleaner, more refined look, these features include a more streamlined music library and the ability to access song lyrics directly from within the app. The refreshed look sees the Apple Music Android app move to a more simplified layout based around four main categories: Library, For You, Browse, and Radio. The Library tab now lets you navigate your music more easily and see downloaded tracks available for offline listening, the For You option offers more refined playlist and album recommendations based on your past listening. The Browse option gives users easy access to a new music and mood-based playlists while the Radio tab has added the ability to easily find specific Beats 1 shows or search stations covering a range of genres. For those who want to sing along to their favourite tracks, lyrics can be seen within the revamped, iOS-inspired Now Player view. The Apple Music v2.0 update is available now as a free patch in the Google Play store. Android Nougat comfortably settled into a bunch of different smartphones, and the Google IO 2017 developer conference just two months away, all eyes in the mobile world now turn to what Google's got planned for Android's next revision. Android O's code name kicking off with a buttery biscuit Oreo base, but little else has even been hinted at yet. 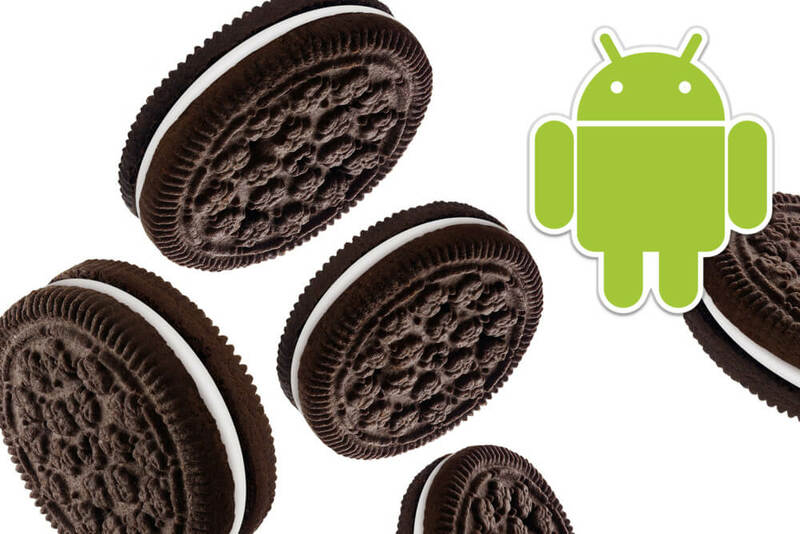 Google has released the first developer preview for Android O and we've discovered some interesting features. Long list of items, and only a few of them are confirmed at the moment. But going on both what's real and what's just a rumos, there's a distinct lack of a headline feature to match last year's Google Assistant launch. As is already seen on the iPad and some bespoke third-party launchers, as well as Google's own Android TV platform, this would let you have one app remain open and on top of another separate app plane. On oldie that's been knocking around for years on iOS and some third-party launchers, this would bring at-a-glance waiting notification number bubbles to app icons on the home-screen, as a native Android feature. Perhaps the most interesting and potentially useful teased feature, this would integrate with Google Assistant to scan app text, pre-emptively highlighting important information for more easy copy-and-pasting between apps and text entry fields. This would de-prioritize app functions running in the background, going easier on your battery at the possible expense of having to reload some app functionality that would otherwise have been ticking over in the background. The name suggests, this would let app icons change dynamically on home-screens. As a crude example, think of a calendar app icon that changed to show the appropriate date on a daily basis. All this comes in addition to new, undisclosed features that will make Android more relevant and attractive to enterprise users.